To get away from city life periodically, New Yorker Roger Locke purchases an abandoned farm house in rural Connecticut, and with the assistance of his cousin Phillida and her beau Ethan Vere, he sets about fixing up the place. Immediately however, an unseen mysterious woman begins giving him warnings during nocturnal visits to leave the house at once. Soon he begins hearing strange ominous sounds emanating from the tiny lake at the back of the house coupled with a permeation of sickly odors. An evil presence then begins to visit him during the witching hours of the late night, challenging him to a battle of wits from which there can be only one victor. 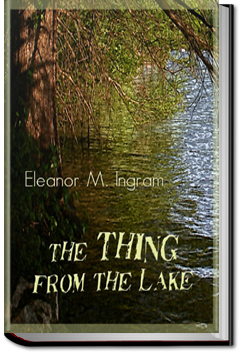 Is his mysterious female visitor there to help and encourage him to flee from the house, or is she working in tandem with The Thing From the Lake? A gripping, occasionally frightening tale, Ms. Ingram wastes no time in grabbing the reader into the story and manages to weave a tale that will leave the reader guessing at every turn of events. This entry was posted in Reading and tagged allyoucanbooks reviews, audio books online, audiobooks, free book downloads, free ebook downloads, unlimited audiobooks, unlimited crime books on March 8, 2015 by all-you-can-books.